When it comes to your leaflets, you want to maximise the content and utilise the space available, right? When you’ve got a lot to say, look beyond a straight sheet because the option of Folded Leaflets is on the table. Choose from our selection of six sizes, ranging from the spacious and practical A3 to the petite 148mm Square Leaflets, which are perfect for turning heads. 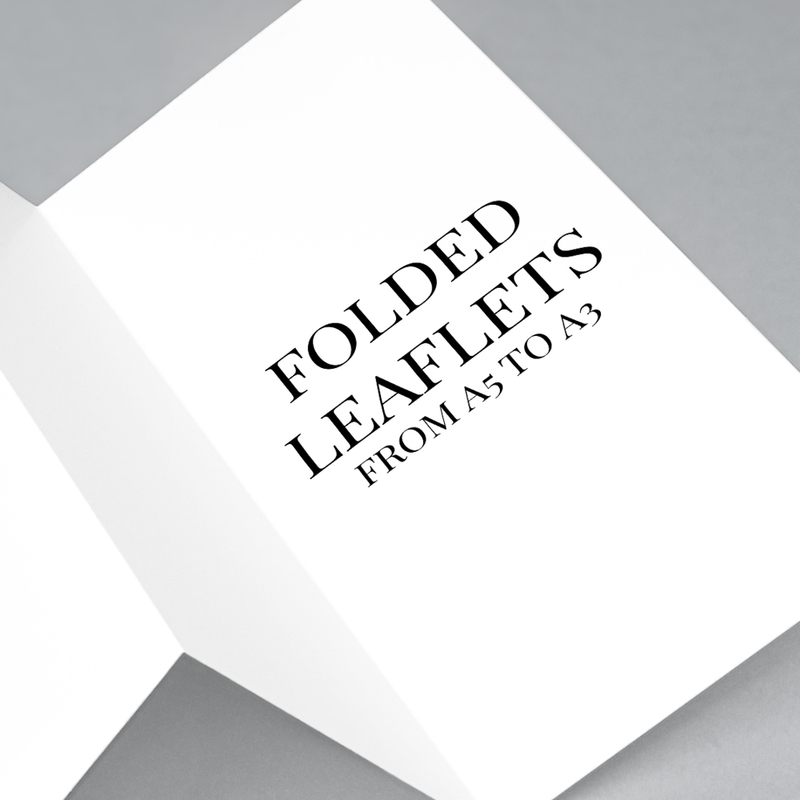 Add your design into the mix or let us take the design stress away for you, then pick your favourite Folding option from our range of Half-fold, C-fold and Z-fold. With three paper weights and laminations available too. We use a combination of digital and litho methods to allow us to give you the best price we can. As a general rule of thumb, print runs up to 500 are printed digitally while runs above 500 will be printed litho but this cannot be guaranteed.